NASA's newest exoplanet hunter launched on April 18! 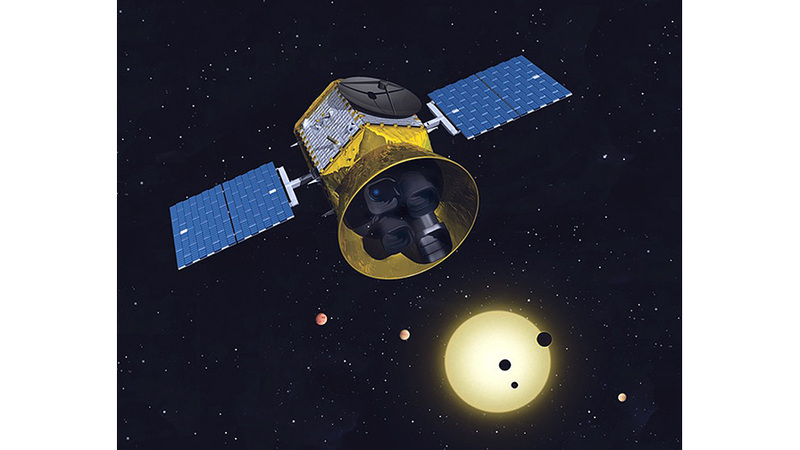 The Transiting Exoplanet Survey Satellite (TESS) continues the hunt for exoplanets, following in the steps of the venerable Kepler mission. While Kepler continuously observed one relatively small patch of sky near Cygnus during its initial mission, TESS's unique orbit and advanced wide-field cameras will allow it to search the entire sky for planets over the course of its two-year mission. Animation of a transit event: A planet passes in front of its host star and the total amount of light seen from far away drops during the passing as the planet blocks the light. TESS's instruments look for transits, like Kepler before it. Transits occur when a planet passes between a star and an observer (such as TESS). Because the planet blocks the light from behind it, the total amount of light visible from the star dips, very slightly. Similar events can be seen from Earth on our own Sun, when the inner planets of Mercury and Venus pass in front of the Sun's disc in transits of their own. TESS's instruments are sensitive and powerful enough to detect these transits around thousands of stars, across almost the entire sky! TESS's instruments will scan almost the entire sky during its initial two-year mission. TESS will spend its first year scanning one polar hemisphere, and the second year completing its survey on the opposite hemisphere. Each hemisphere wll be broken into 13 segments (26 total), with each segment observed for 27 days for evidence of transits. TESS will be observing brighter stars than Kepler did, allowing followup studies to be performed more easily by other telescopes: both space-based telescopes, like Hubble and the upcoming JWST, and Earth-based telescopes. Its unique and very elliptical polar orbit is designed to maximize the amount of sky its instruments can steadily survey in its hunt for exoplanets. TESS is expected to find many thousands of new planets during its initial mission, paving the way for incredible discoveries as NASA continues to search for Earth-like worlds around other stars. 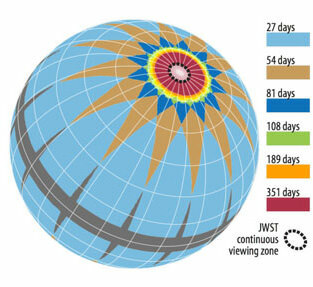 While TESS itself can't determine many details of these planets, such as the composition of their possible atmospheres, other telescopes like the James Webb Space Telescope will be able to do so in their follow up observations. The Night Sky Network has many outreach activities and resources designed to help bring the science of exoplanet hunting down to Earth! You can check out our activities built around the Shadows and SIlhouettes Toolkit, which focuses not just on explaining the science behind transits, but also around eclipses in general. Our PlanetQuest Toolkit takes an even deeper dive into exoplanet hunting with activities like "How Do We Find Planets Around Other Stars?," "Why Do We Put Telescopes Into Space?" and the "Where are the Distant Worlds?" star map handouts. Help share the exciting science behind TESS and other planet-hunting missions!